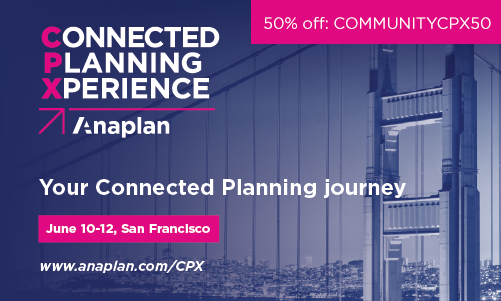 Take 50% off your registration with code COMMUNITYCPX50. End users not happy with your model? Clear up that problem using our best practice process for model design. Need more information on Application Lifecycle Management (ALM)? Our newest Advanced Topic course discusses how ALM enables clients to effectively manage the development, testing, deployment, and ongoing maintenance of applications in Anaplan. Check out ALM training today!